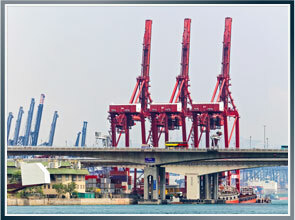 If you get hurt at work as the result of a negligent act by someone who is not a co-employee and you are entitled to workers´ compensation benefits under the Longshore Act or state workers´ compensation, you may have the right to bring a “third party” case against that person or that person´s employer. Although a person who is entitled to workers´ compensation benefits may not file a lawsuit against his own employer or his co-workers, if someone who is not a co-worker negligently caused your injury, you may have the right to file a lawsuit against him or his employer. For example, if you are a longshoreman loading a container onto a truck or chassis, and a truck driver from another company runs into you and injures you, you would be entitled to workers’ compensation benefits under the Longshore Act. However, you would also be entitled to bring a “third party” case against that truck driver and his employer for damages including lost earnings, medical bills, and pain and suffering. It is essential that you act quickly if you are a longshoreman who is injured at work and think that you might have a “third party” case. A longshoreman only has a short period of time, as little as six months, to ensure that he has exclusive control over his right to bring a “third party” lawsuit. If you do not take action within this time period, your employer’s workers’ compensation insurance company could actually file the “third party” lawsuit on your behalf and could then decide how much money to settle the lawsuit for. Our maritime attorneys will file suit immediately after your injury to ensure you have total control over the third party lawsuit. If you are a longshoreman who is injured at work, make sure to contact the experienced professionals at Latti & Anderson LLP. Call us at 800-392-6072.